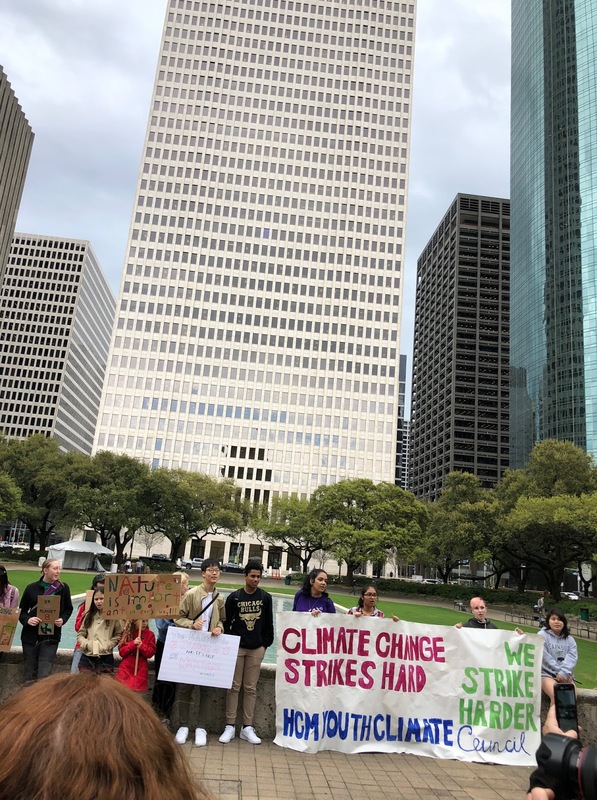 The action was organized by youth and held on the grounds of the Houston City Hall, skyscrapers in the background. 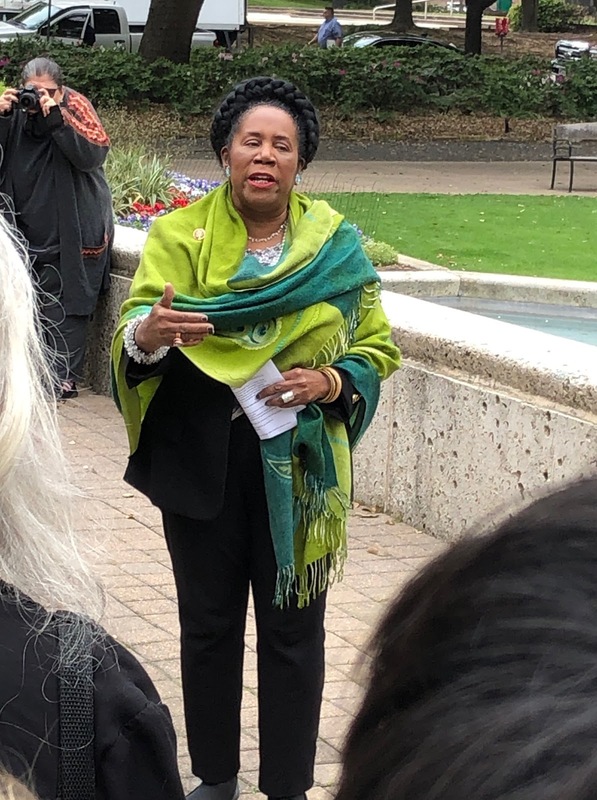 Houston Congresswoman Sheila Jackson Lee inspired the crowd, emphasizing the power of each individual to fight climate change. Alan Northcutt spoke about our experience in Waco, with progress, through persistence, in decarbonization at the city and county level. 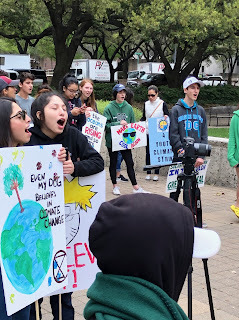 The Waco contingent was 6, our signs indicating our endorsement and support of the Houston activists. 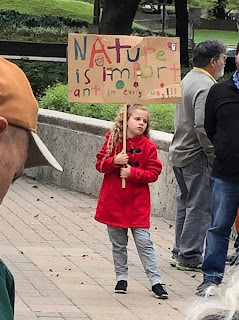 Chants were a major focus of the rally, with “When the climate you need is under attack, what do you do Stand up, fight back” a favorite. 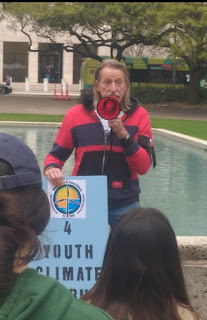 All ages were represented, from a 4 year old to seniors. Several political candidates spoke, emphasizing their commitment to climate action. 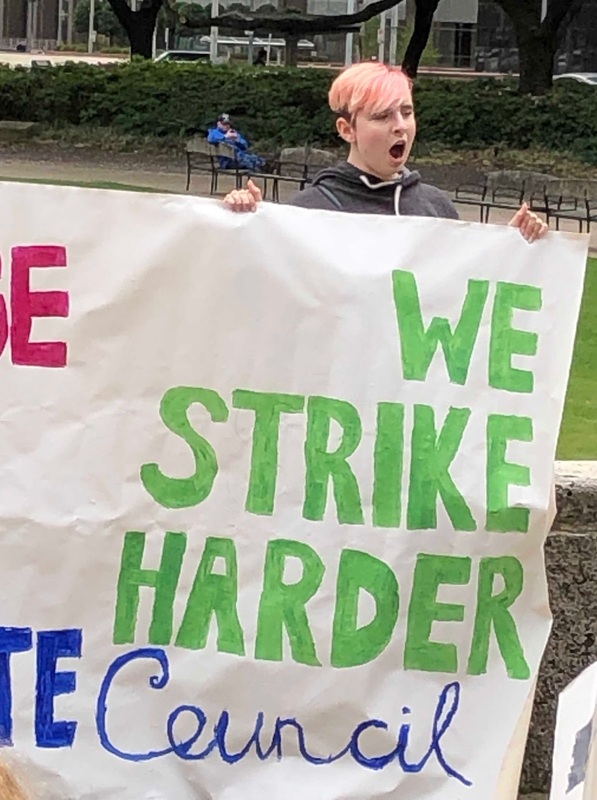 Activists included an anarchist, an anti-Trump person, a Women’s March group, and an anti-capitalist. 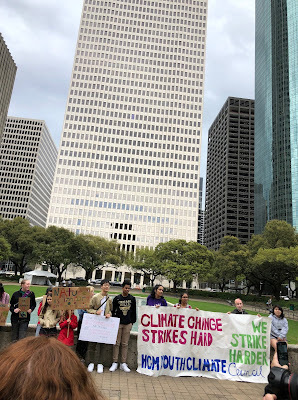 The theme was “climate change strikes hard, we strike harder,” by the Houston Youth Climate Council. Congratulations to the Houston youth activists for this inspirational rally at this crucial moment in human history. 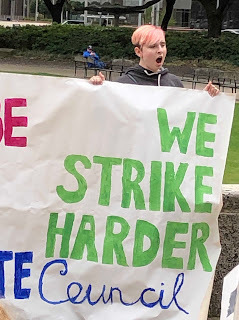 And this rally was one of hundreds in the US and worldwide on the 15th day of action. All recognized the recent IPCC warning that we must reach net zero carbon emissions by 2050 to avoid catastrophe. Many thanks to Travis for negotiating downtown Houston in his large truck & procuring a parking space. 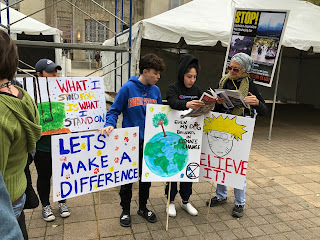 Also thanks to Ana, Kira & friend, and grandmother for their dedication.